Dr. Daphna Nachmani received her MS and PhD from the Hebrew University of Jerusalem in Israel, at Professor Ofer Mandelboim’s lab within the Immunology department in 2014. 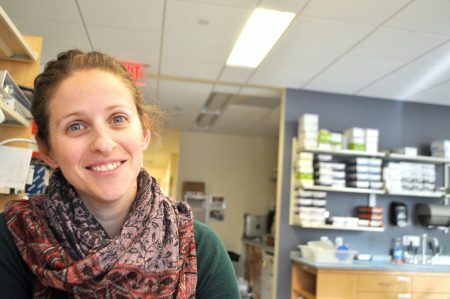 During her training Daphna worked on host-pathogen interactions, with an emphasis on viral miRNAs as mediators of immune-evasion strategies. Dr. Nachmani’s current project focuses on the role of RNA modifications in the regulation of hematopoietic stem cell maintenance and self-renewal. The mission of the Pandolfi Lab is to cure cancer through cutting edge creative research.